Welcome to Savvy Travel where you will experience unforgettable all-inclusive vacations to Mexico and the Caribbean, tailored packages to Hawaii and Costa Rica and dream cruises to your favorite island destinations. We take a concierge approach to planning vacations. Tell us what you want, and we’ll make it happen, with NO AGENCY FEES! We work exclusively with the top-rated vacation tour operators in the industry, to assure you of the best travel experience available at the most affordable price.Contact the travel professionals at Savvy Travel to plan your next all-inclusive vacation, private villa getaway or cruise. With over 25 years of travel experience, we can answer your questions and help you plan a one-of-a-kind vacation that’s just right for you. 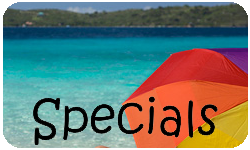 for online reservations and specials, as well as resort descriptions, local attractions and optional tours. It’s the Savvy way to go!